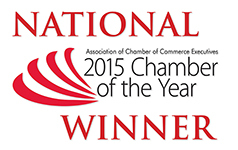 In recent years, the Chamber has created an environment that resulted in significant impact to the Coweta community. By leveraging its leadership to make our community even more distinctive in the eyes of economic developers, the Chamber helps create the product (a quality community) that is sold to potential investors and results in new jobs to our community. The Chamber focuses heavily on helping build a sustainable infrastructure to grow a more highly skilled workforce at a younger age. The Chamber is dedicated to ensuring economic prosperity for its members through quality programming and services that ensure members thrive and prosper.